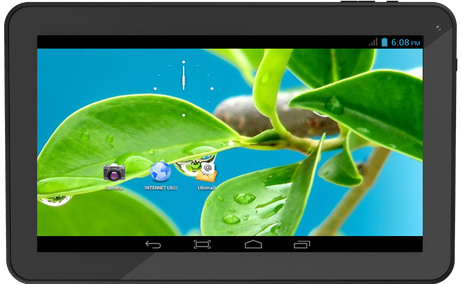 Over the past few years, we have repeatedly heard the news about super-cheap tablet Aakash Datawind companies, whose production is subsidized by the Government of India, so that in this country the price is in the range ... $ 22. Now the novelty has left Asia and beyond to buy it under the name UbiSlate 7Ci will be in the United States, where the price of the tablet will be at least $ 37.99 amazing. On that same customer can expect this super-cheap devices? Of course, filling UbiSlate 7Ci is fully consistent with its price. Judge for yourself: in a little less than forty dollars we get a tablet equipped with a seven-inch screen having a resolution of 800 x 400 pixels, or 0.5 GB - 512 MB of RAM, 4 GB of internal memory and a processor running at 1 GHz. Besides the usual, WiFi version of the tablet will go on sale UbiSlate 7C +, with built-in Edge modem, which price is $ 79.99, and for $ 129.99 you can buy a tablet UbiSlate 3G7, equipped with a 3G modem, a powerful 1.2 GHz processor, 2-megapixel camera on the back complementing the front VGA webcam, and even - GPS receiver. Both models of the past, it seems, can be used also as a sort of mobile phone. Personally, I see the only use 38-dollar UbiSlate 7Ci, which is quite suitable for the role of the first tablet for children aged 3 to 8 years and which in the case which is not a pity to throw it away and buy a new, instead of trying to repair it.